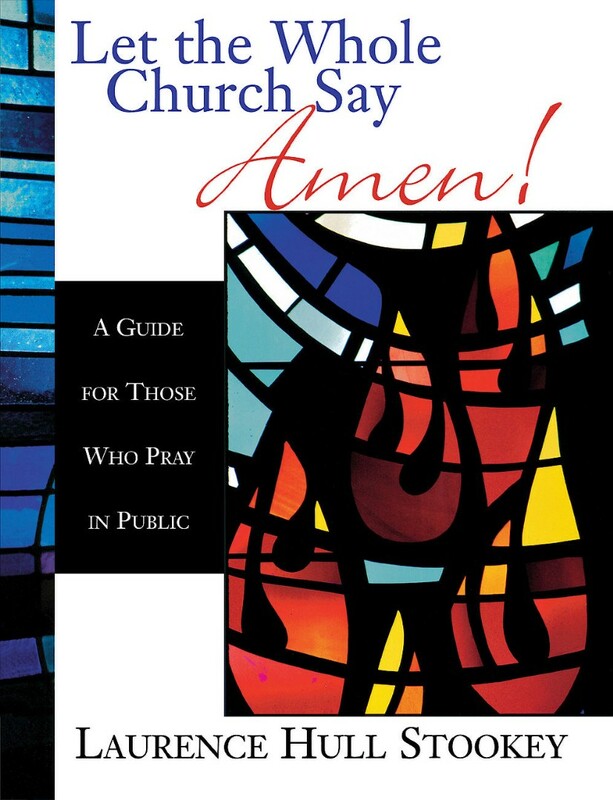 Stookey seeks to relieve the anxiety of inexperienced leaders of public prayer and the discomfort of those with and for whom they pray in this practical guide to the art of praying in public. The book has three parts. First, Stookey offers reflections on the nature of prayer, utilizing the image of a flow of energy. Second, he discusses the forms, mechanics, and vocabularies of prayer. His analysis brims with insight and practical application. Third, and most importantly, he provides concrete exercises in editing prayers. The reader is challenged to mark prayer texts and then to compare her or his own work with the author's as Stookey points out the particular issues that the exercises highlights. The book is clearly organized, economically written, and easy to use. Those who read carefully and complete the exercises will gain significant experience in crafting prayers to which the whole congregation can respond with an enthusiastic "Amen". Let the Whole Church Say Amen! by Laurence Stookey was published by Abingdon Press in June 2001 and is our 39450th best seller. The ISBN for Let the Whole Church Say Amen! is 9780687090778. Buy Together Offer for Let the Whole Church Say Amen! Reviews of Let the Whole Church Say Amen! Be the first to review Let the Whole Church Say Amen!! Got a question? No problem! Just click here to ask us about Let the Whole Church Say Amen!. Details for Let the Whole Church Say Amen!